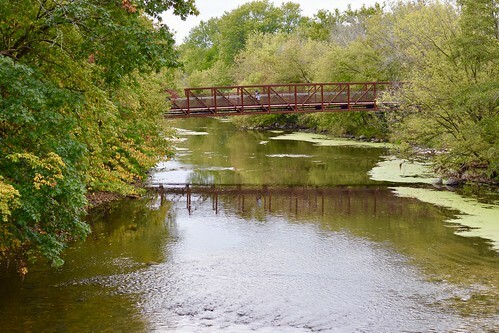 Knoch Knolls has a boat launch that is easily accessible to launch a small boat or kayak. The Knoch Knolls nature-themed playground near the Nature Center, features a variety of play apparatus within a beautiful outdoor setting. 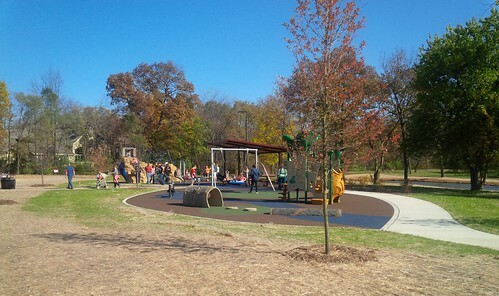 The playground has features for kids ages 2-5 and 5-12. Enjoy a picnic under the canopy of the Lower Grove Picnic Area (12 picnic tables) or open area of the Upper Grove Picnic Area (6 picnic tables plus fire ring). Small groups may use the picnic areas and Park District grills, on a first-come, first-serve basis. 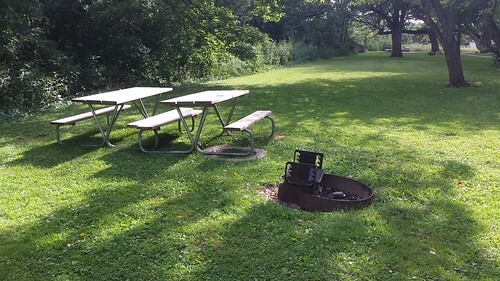 A permit is required when a group is 25 or larger, the fire pit is used, alcohol is being served or if you plan to bring your own personal grill. Please call 630-864-3965 to make a reservation. The expanded 18-hole disc golf course was completed in 2014 with additional improvements to the course landscaping finishing up in 2016. 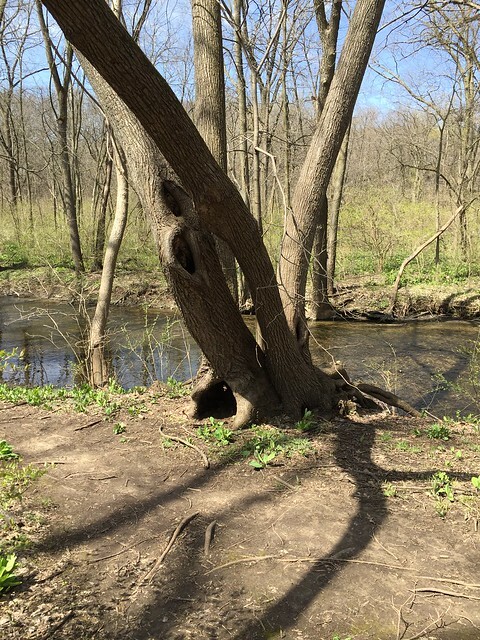 With its beautiful location along the West Branch of the DuPage River, it’s a popular spot for disc golfers. The course is free and available anytime the park is open, from sunrise to one hour after sunset. If needed, discs may be purchased from the nature center during its open hours.